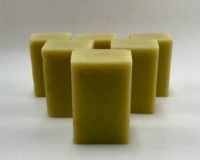 We use pure, organic Loofah to create these simply and beautiful soaps. The Loofah is suspended in aloe melt and pour soap in which we added coconut oil. Refresh and exfoliate your skin with this bar that comes in a variety of great scents. Lather up as you scrub at the same time for a different level of clean. 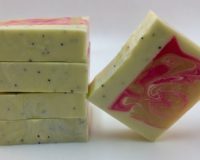 All soaps are lovingly handmade by me in small batches to ensure quality, so each bar is a little unique. Packaging: All soaps are packaged in an unbleached cotton muslin or an organza bag.